Founded in 1985, Innovative Control Systems, Inc. (ICS) is a leading manufacturer of advanced electronic monitoring and security systems. ICS products are marketed under the Accutech Security brand and sold through a nationwide network of independent dealers. 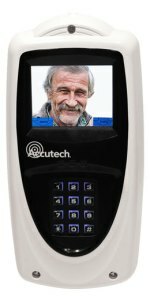 Accutech Security's specialized, RFID-enabled systems track the movement of people to provide immediate notification if an individual leaves a designated area. Accutech Security's solutions are used across a variety of industries to support the overall security of facilities. ResidentGuard resident monitoring systems give Alzheimer’s, dementia and other “at-risk” residents the ability to move freely about their facilities while receiving the protection they—and their families—need. Using advanced RFID technology, the systems put staff at ease while enabling them to direct their energies toward other critical tasks. The Cuddles infant protection system combines patented tags and bracelets with advanced RFID technology to help prevent abductions while also helping to ensure the general safety and security of infants. Easy-to-use hardware and software work seamlessly, enabling nurses to spend less time managing a “system” and more time focusing on what matters most— caring for their little patients. 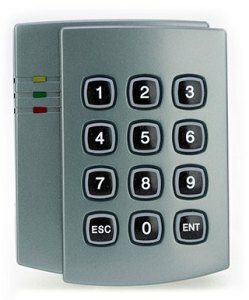 FacilityGuard Electronic Access Control FacilityGuard is a cost-effective electronic access control product from Accutech to monitor the movement of residents or patients, nursing staff and visitors. In addition to a wander management or infant protection system, multiple hardware and software components can be added to incorporate CCTV, nurse call, and a variety of other security systems into a unified interface that can be configured with different options depending on the size and scope of your facilities’ needs.